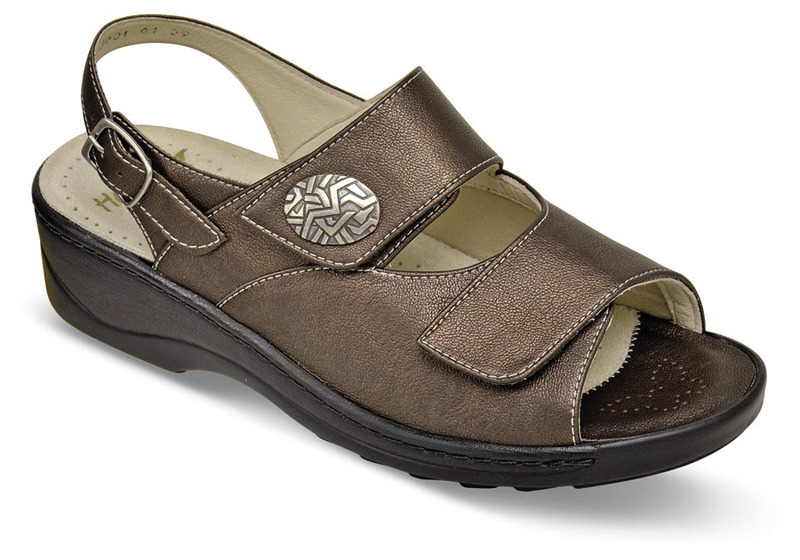 Soft leather uppers, Austrian design and an ingenious hidden stretch insert that cradles the big toe joint and relieves pressure makes the metallic brown Fidelio "Hallux" three-strap sandal amazingly comfortable. The richly-padded insole can be removed to accommodate orthotics. Lightweight polyurethane outsole with slim heel design with 1½-inch heel height. Originally $169.95. 36(6), 37(6.75), 38(7½), 39(8.25), 40(9), 41(9.75), 42(10½) and 43(11.25).